The downside of technology boom is not just felt in the US. Its fangs are fast spreading in Asia. According to a study by the United Nations University, electronics waste (or e-waste) in Asia has jumped 63 per cent between 2010 and 2015. China’s e-waste generation has more than doubled in five years. While China and other Asian nations were known for being the world’s preferred dump yard for discarded electronics, the new report has found that Asia has itself become a major source of e-waste, thanks to increasingly affluent consumers buying phones, tablets, refrigerators, computers and televisions. When it comes to per capita e-waste generation, Hong Kong is the worst offender. It generated 21.7kg (47.8 pounds) of e-waste on an average in 2015. Singapore and Taiwan followed close by generating over 19kg of e-waste per person in 2015. 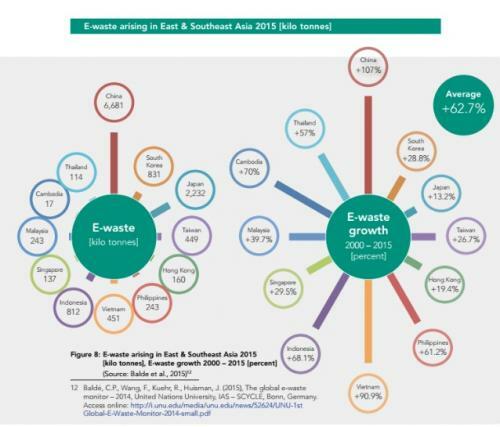 After studying e-waste generation in 12 countries in East and Southeast Asia, the report attributed the rise in e-waste to key factors: increased availability of products in the market, a growing middle class and a faster turnover of gadgets. "More and more gadgets and toys are coming with either a plug or a battery, and it's all substantially contributing to an increase in e-waste," says Ruediger Kuehr, lead author of the study. While Asia generates the highest volume of e-waste, per-capita generation is much higher in Europe and the Americas. 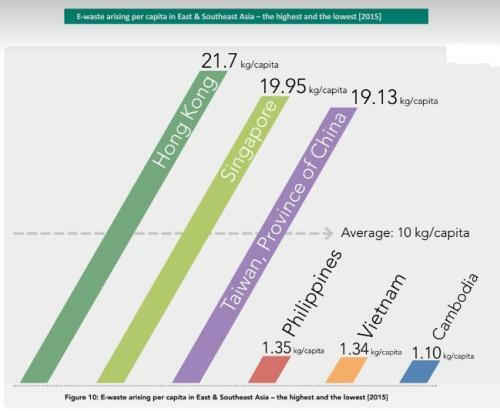 Asia’s 3.7kg per person of waste is very less compared to Europe’s per capita generation of 15.6kg. With large chunk of e-waste from the Western world being exported to poor countries, domestic waste piles up in those developing countries. Unfortunately, most of these countries lack infrastructure to recycle it safely and cleanly. Informal recycling is the norm in many such countries, wherein not all parts are reused. One of the offshoots of informal recycling is open burning. Burning cables to recover copper is one of the common practices which cause adverse acute and chronic effects on human health and environment. In most developing nations, unlicensed and often illegal recycling practices are pursued from the backyard. The informal recyclers use solvents like sulphuric acid (for copper) or aqua regia (for gold) to separate impurities from valuable metals. This often results in the release of toxic fumes into the environment. Hence, these recycling processes are not only hazardous for the recyclers, but they are also inefficient as they are unable to extract the full value of processed products. Apart from growth in ownership, greater replacement of obsolete equipment has led to a dramatic increase in the quantities of e-waste being disposed of in China. From 9.91 million units in 2001, it increased to 109.80 million units in 2013. In 2014, the country generated 113.77 million units of e-waste. 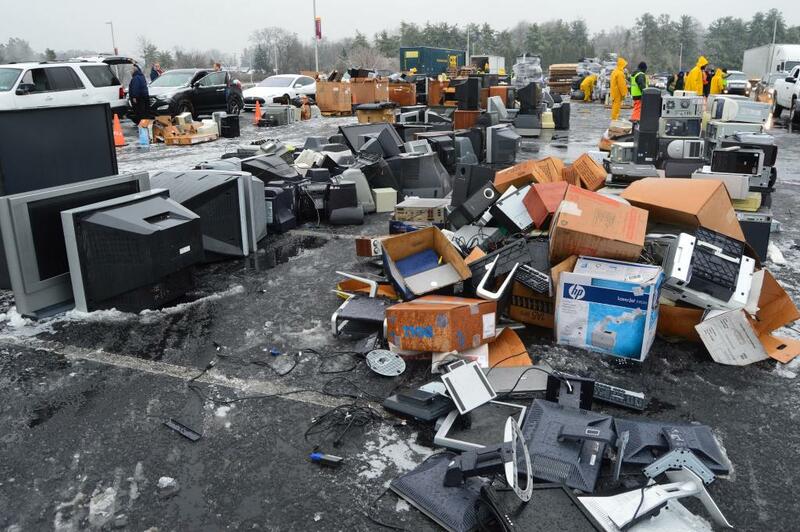 In 2015 alone, discarded TVs, phones, computers, monitors and small appliances grew by 6.7 million tonnes. The Chinese town of Guiyu, which is the largest e-waste recycling site in China, and probably the world, is home to 150,000 people. About 100,000 people, mainly migrant labourers, are employed in informal recycling hubs where the treatment of e-waste is carried out by hammering, open burning and acid leaching. According to the study, heavy metal contamination has turned air and water toxic, with high lead levels found in blood samples of the children. When discarded gadgets are burnt or washed in acid to extract the copper and other metals inside, it naturally leads to air and water pollution, causing cancers and infertility in workers exposed to the fumes. India, which ranks fifth in the world in generating e-waste, notified the new E-wastes Management Rules, 2016 to ensure safe recycling of electronics waste.